"The Cure for Your Car" . 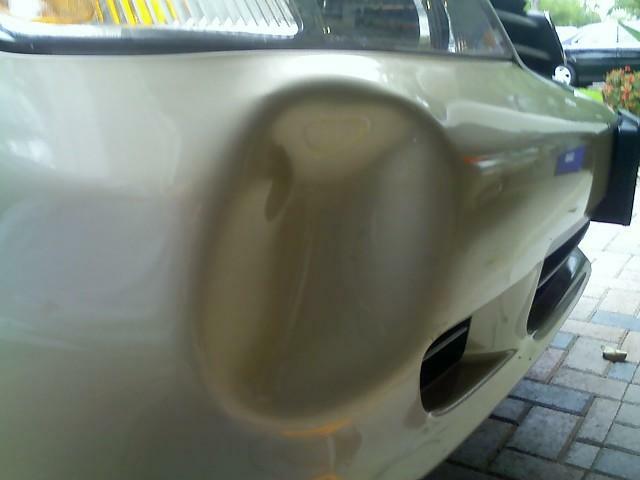 . . we repair metal panel dents & plastic bumper dents....we normally reverse dent damage without painting. So you can get your car back faster, with less expense. . . We are professional dent removal specialists renowned for our expertise, skill, and quality workmanship. Save Time, Avoid loss of vehicle hassles, and Save Money! Avoid time without your car in the shop, and we all know how important that can be right?...and you can get your dent, or dents, scratches, bumper dents, and more fixed at all at once, at one place...at Dr. Dent! We can combine, if you so choose, Paint-less Dent Removal with High Quality Detailing to give you the ultimate in car care. 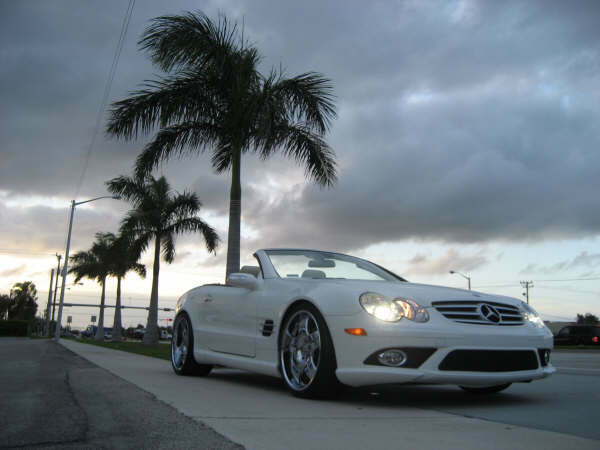 Come see us in Delray or call us for an estimate. Are you thinking you might wanna get one or two more years out of that car?...Well, for the price of one or two payments we can restore your car to near new condition, and sometimes even better than new! We do little things that make your car look "Smokin' ". . . and, you'll get more for your car when it comes time to sell. . . We have " The Cure for Your Car". It's more like a 'Restoration' in some cases. Call us to learn more . . . It's tough to explain the process but we do our best for you, and that seems to work in the end... So, the questions are... do you want the straight answers?..Do you want your car back faster?...Do you want a better deal than the shops who might want to hold onto your car for days or even weeks?...Then give us a call. We'll take good care of you...because at Dr. Dent, we really want you to come back again and again. Also, we ask for your patience. Since folks really like us, we're receiving a great deal of calls, and at times, the messages you leave us can be unclear or garbled, so please repeat your phone number in your message, and feel free to call us again if you think that that might have happened. Often times with todays phone services we are finding calls going straight to message, and then sometimes not delivered till the next day. If in doubt, we ask that you try texting us with your name & number and brief note so that we may call you back. Thank you in advance. . .We want your business, and we know you'll come back once you've tried us. 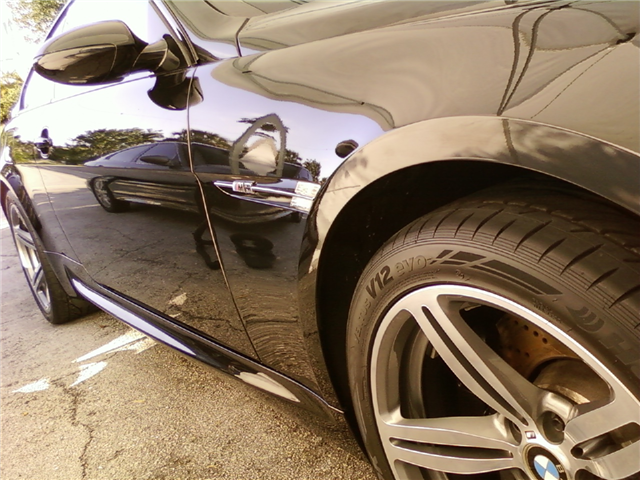 We do paintless dent removal on every make and model of car or truck on the market...Mini to Mazerati...we do it all . . .
And we'd like to extend our Sincere Thanks to you all for all your ongoing support...and patronage! Large dents are those larger than a Quarter in diameter, and Deep dents are those deeper than one to two stacked nickels (approx. 1/8" deep or more). 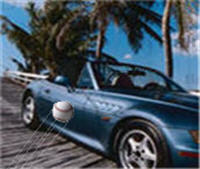 Please note that some dents have lower perfection/success rates than others. The level of success will depend on the size, location, access & severity (ie: sharpness or depth) of the dent. Dr. Dent will do the very best possible in any event, but these factors must be taken into account by the client for a better understanding, and for their benefit. 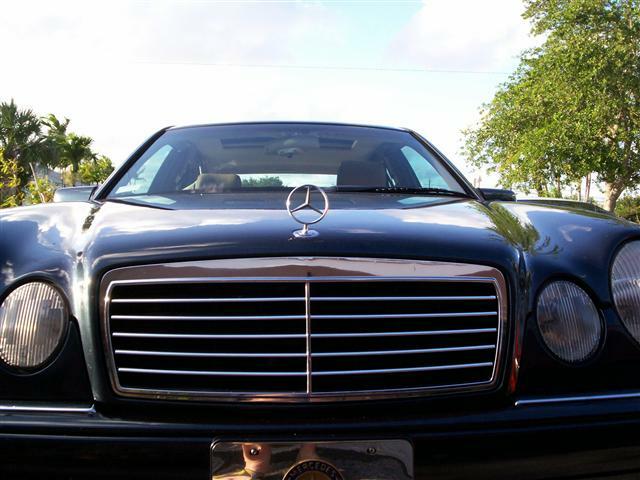 We Restore headlight lenses from yellow to clear! Got a headlight issue?? Often this can be repaired. 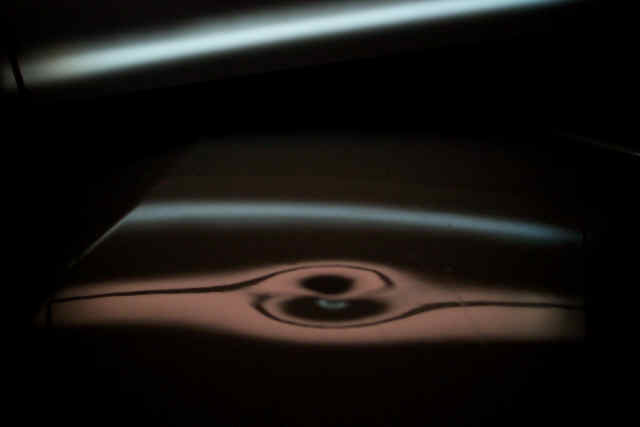 The lense can be renewed through a process that normally brings it back to new..however simple polishing will only prolong the problem and return within 6 months. We do it the right way. Yes it's more expensive, and also takes a little longer, but it lasts. . .That's what we're all about at Dr. Dent. . . Some dealers can be very aggressive, and caution is a good idea. 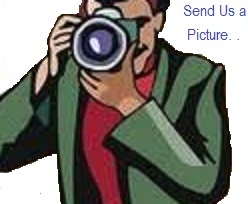 . .
We're Fast, we're effective...we save you time...and we save you money. "The Cure for Your Car"
"Are you fed up with people putting dents in the side of your car by carelessly opening their car doors or banging into your car with their shopping carts. . .?" Does it seem that even though you've done your best to avoid them, folks somehow park next to you way out at the back of the lot, and then dent your precious car?...Would you prefer to avoid long "time outs" without your vehicle during it's repair?...Then why not give us a call and see why so many others choose Dr. Dent to solve their problems? Dr. Dent saves you lots of money, and gives you your car back quickly. The choice is simple...it's Dr. Dent. We can ease the pain and expense...We have 30 years of body work experience on top of our paintless dent experience AND we've been trained by the finest in the industry! Our detailing is also of the highest caliber and should not be compared with a "car wash" and/or a "quick vacuum"...We are far better, but still reasonable for the intense amount of effort we put into your car. We actually clean your car first. 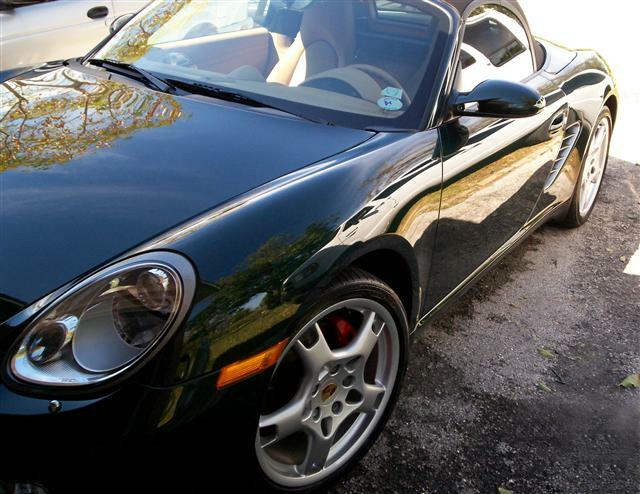 As you can see here, this porsche owner let us show him what we could do, and we removed many dents, cleaned, polished and protected the paint, and we actually got him the right to stay in the Porsche Club!... So we think that says it all...Detailing is by appointment only, thank you. 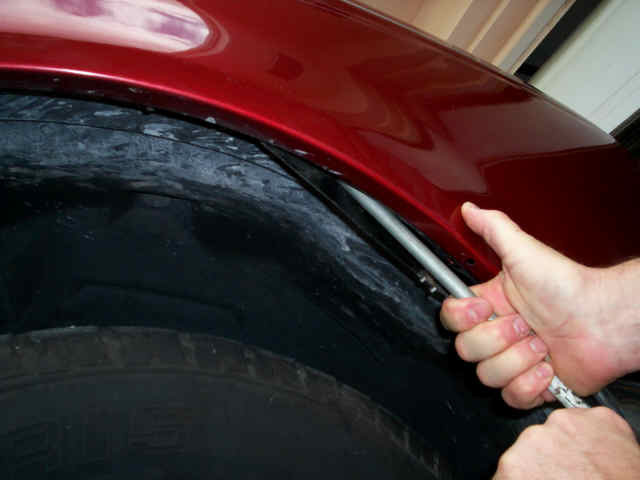 Dr. Dent offers Paint-less Dent Removal, a specialized skill, or "art" to take dents and dings out of your car or truck right at your home or business if necessary. No painting is performed or required with this technique. We are highly skilled at returning the metal back to it's original form by working the metal from the inside. This requires painstaking accuracy and a great deal of talent, skill, and often times much strength. You will want someone who has the "know how", "skill", and "ability'...as well as, the many years of experience that Dr. Dent has had to understand and become "one" with the metal so to speak...and get the results that you need. Dr. Dent has been trained by the finest in the industry. We can remove dents from Mercedes, BMW, Hummer, Bentley, Jaguar, Toyota, Nissan, Mazda, Mitsubishi, GM, Chrysler, Ford and so on. You can expect the quality that makes all the difference from Dr. Dent. This can drastically reduce the aesthetic and monetary value of your car. People that maintain their car well and keep them clean and dent free are making a statement about themselves to others. A dent free, clean car, is a sign of integrity, organisation, pride, and personal stature. Make a statement of your own by calling us, and you'll see how good your car can make you look to others as it beams out it's message of respect. at a much lower cost than the body shops. We'll also save you a great deal of time as well. In addition to all this good news, Dr. Dent has the added bonus of two main services. Just ask if there's something else you need...we might be able to do it. We have paint restoration procedures to restore the shine, we have help for those scratches, and we have detailing with top quality waxing. top left side bar) to see more dent pictures once you've read a little more below. 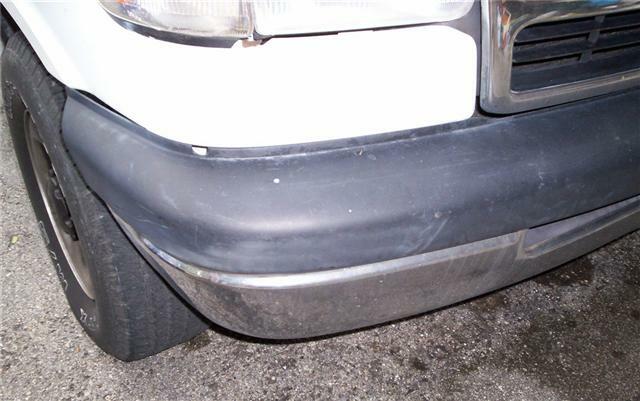 Here is an example of someone who hired a guy who was un-trained in paintless dent repair. As you can see, the end result on this fender is not particularly pleasing. We get calls from folks who hire unknown dent guys or "dealer" dent guys...and the end result is usually something like this when it shouldn't be. Unfortunately they did not call Dr. Dent and hence found themselves in an uncomfortable place. Look for this logo to get the best service and best deal around. Dr. Dent can offer solutions for your automotive blemishes by removing dents and dings caused by shopping carts, car doors, baseballs, golf balls, rocks, sticks and branches, and just about anything that dents your great vehicle. Your image is expressed by your vehicle whether you like it or not...and people evaluate you by the car you drive...and by the dents they see...but if you're reading this info now, you're obviously a person who cares deeply about your car, and one who knows the benefit of a tidy, sharper image. We understand that, and we want to make it easier for you to stay on the road and be as sharp as anyone can be. Dr. Dent delivers. We've remained smaller and stream-lined, to keep our over-head low and pass the savings on to you. all that we have to offer.